As is customary each year, Gentle Reader, at the beginning of October I take a moment to examine my career as an author. Yes, the time has come again! It is Soulless’s birthday! A very nervous debut author hummed and hawed over her offering. Would anyone actually like it? 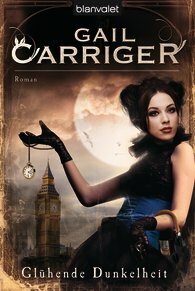 It was such an odd mash up of paranormal, steampunk, and comedy – who would enjoy such a ridiculous story? Were there readers out there irreverent enough to want whimsy? Well, Soulless turns nine years old today. The silly little book that I thought would find a home in only a very few people’s hearts seems to have miraculously wormed its way out into the world and touched many. Soulless has now sold into over a dozen different territories for translation. 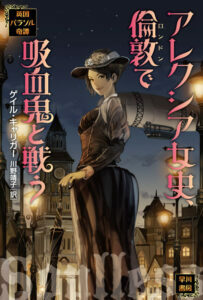 There has been a graphic novel manga version (which itself is now translated into French, Taiwanese, and German) and an omnibus. It’s was once optioned for TV. It’s spawned videos, fan art, several tea parties, audio books, cosplay, and an iPhone app. I gave up teaching archaeology, discontinued my experimental work, and stopped my field visits. Basically, I switched careers. I visited a dozen foreign countries promoting the books, half of which I’ve never traveled to before. I’ve watched the steampunk movement grow and expand, and then contract. I went to conventions and signings all over the world and learned valuable lessons from fellow authors. There have been good reviews and glorious ones, nasty gripes and soundly presented critiques. I’ve tackled rough times in social media, and made my fair share of online mistakes. But in the end, it always came back to Soulless and the writing. Did the book make you smile? Then I did my job. So, thank you so very much, Gentle Reader, and if you have the time or inclination please raise up a teacup in honor of Soulless, who’s original secret code name, at the dawn of this blog, was The Little Paranormal That Could. I guess Soulless could and did. Thank you all for NINE glorious years! 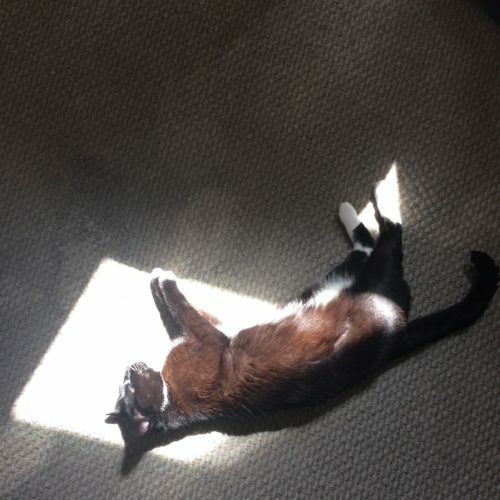 Many of you have been with me all along, and several of you have already posted comments on my similar October 1 posts of the past, for which I thank you. If you would like to share your “How I discovered Soulless” story, I would love to read it. Or just show us a fun photo of whichever edition you have! 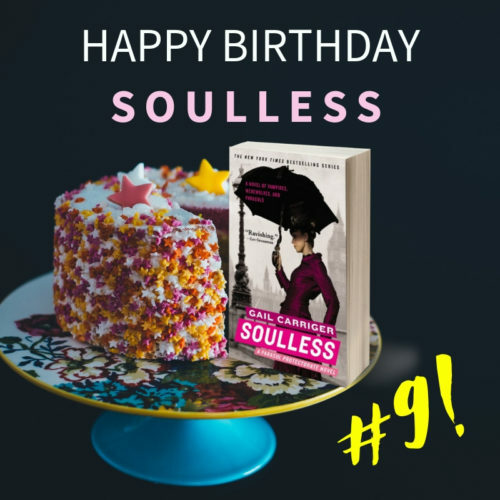 You can read about the first year after my sale in the blog post I wrote the year after Soulless released. You can read about the notes that started it all in my blog post for Soulless’s birthday last year. Will you ever write the hedgehog incident? You know what next year is, darling Gentle Reader? Next year is Soulless’s 10th birthday. Did you want to know what I am worsing on next? This stuff goes to my Chirrup members, because I love them bestest. Sign up here. It came from beneath the sea – giant octopus sculpture takes over festival in Louth. I’ll share all my copies of Soulless later (the hardback is set to arrive today), but I was introduced to Soulless by a friend who was using the premise of the story for some fic in a completely different fandom circa Christmas 2011 or 2012. I was intrigued, set out to buy all the books (it required some work as not all were in stock), and then I was off like the races. Hello. It is a friend who told me about Soulless precisely in October, 6 years ago. She described Alexia and the first chapter so vividly that I was curious, and borrowed at once the whole series from the library. I read them very quickly, laughed a lot and remember precisely that, on this first reading, the scene of the vampire attack in Mr Trouvé’s clock shop when Alexia uses a cuckoo clock as a weapon made me laugh nervously for long minutes. This first reading was in French, but I have bought and re-read the series and read all your other books in English since then, as they are available far more quickly than having to wait for their translation. So much I like this series that I have offered it or Soulless to several friends or colleagues. I consider that you are a reference in steampunk literature. Therefore if some book on the subject does not mention your name, it is a bad book, but if it does, it is a good one. Ha! I love this, and thank you for continuing to pimp my stuff out into the world! This allows me a career and I am indebted to you as a result. 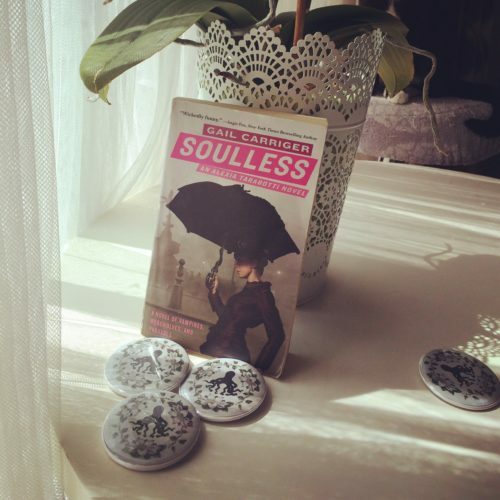 I found Soulless at Powell’s Books when I was in my first huge reading funk. 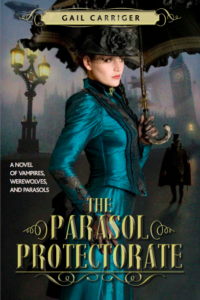 The Parasol universe, together will Maria V. Snyder’s Poison Study, brought me into a new phase of my reading life. Thank you, Gail! Happy book birthday! Thank you and hooray for Powell’s! They have been wonderful and continue to support em whatever I do. 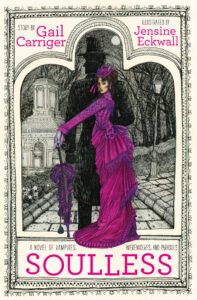 A friend told me about Soulless when I was starting to read steampunk, not long after if was published. 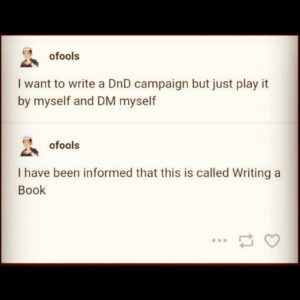 I loved the whimsy andthat you were confident to put it out there, as so many books in the genre seem to feel the need to be totally serious all the time. Live is better with fun and I loved this from the very start and bought every book as it came out through the series. 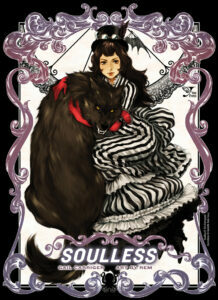 I discovered Soulless at the place I worked, which shipped out books (sigh, I wish I was still working there). Looks like fun!, I thought, and I was right! I love your books. I first saw Soulless at the library I worked at years ago. The cover intrigued me so I picked it up and started reading. For once, judging a book by it’s cover was a good thing–it led me to the perfect book. 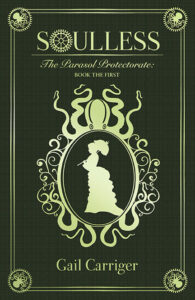 I’ve been an avid Gail Carriger reader ever since. I honestly discovered Soulless while skimming the books at a bookstore. And did this post get to me a little? Maybe. Ah, memories! my friend sent me the first ebook in 2011. I dogged the libraries for more ebooks, and used iBooks or Kindle when I could not wait for the books to get into the 3-4 online libraries I frequent. I’ve adored many, liked most, and been disappointed by a few. I follow the blogs regularly. I guess I’m faithful, in the long run. Ah, my book pimp, a good friend as well, suggested this little book with a lady and a parasol on the cover. I read it and have been hooked since! In 2011, a friend of mine who owns a used bookshop recommended it to me, and said “Whoever gave this up is an idiot, it’s such a good book!” I had purchased every other book you had out within weeks of reading it, and I drove through a blizzard to get to the nearest bookstore when Prudence came out. 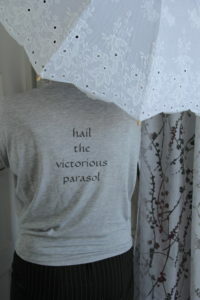 My wonderful 80 year old mother in law introduced me to the Parasol Protectorate. We were sat drinking tea and reading and she just kept chucking and when I asked her, she described Lord Akeldama. 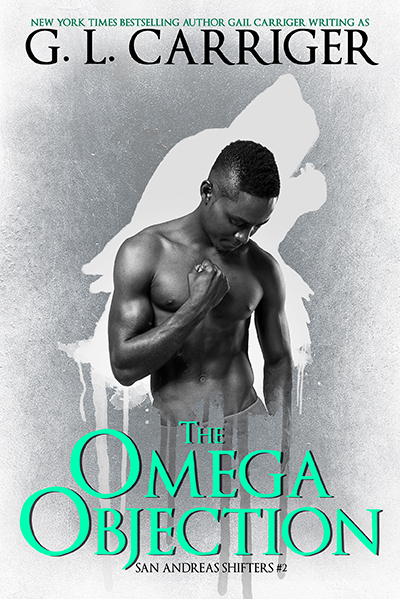 Logged on to Kindle store immediate and have been hooked since. I still vividly remember finding your works. Browsing the sci-fi fantasy section at a large chain bookstore with a friend. I found the second paperback (Changeless with that gorgeous blue dress) and was intrigued. The back blurb intrigued me, and I started reading the first few pages and knew I was in love. It came come with me immediately. I devoured it and then was even more thrilled to discover that not only were all the books in the series out (and I had the second one) but that I could also buy them from the same store in a boxed set. Somehow I managed to convince my friend that my very life would be in peril if I didn’t go back to the bookstore, find the boxed set and acquire it and they believed me. As well they should, for I was deadly serious. I raced back to the store and exchanged Changeless for the entire set and I’ve never looked back. Wholly addicted to your works I have managed to convince my local bookstore to always pre-order the newest Custard Protocol book. (I had a harder time with the Finishing School books). Thank you so much for writing, for being such a wonderful friendly soul in a world in sore need of them and for never pretending to be anything more than human. you’re truly inspiring. One day my hubby handed me my Nook and said here look at this set of books I bought for you- I think you will like them. 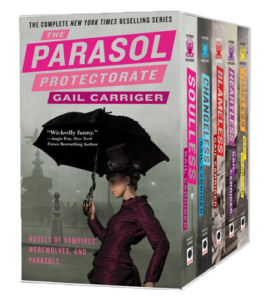 He had gotten the box set of the Parasol Protectorate for me. (is it really a box set if it’s e-books? wouldn’t it be more of a byte set? heh.) And he was right, I love them! I am really glad that I had all the books at once or I would have been DEVASTATED at the end of Changeless! And so it is! In all the best definitions of the word. I haven’t quite collected every book you have out, but I’m almost there! 2010. I met you at Worldcon in Melbourne because I loved your fashion sense. I asked for a photograph, we had a brief chat, I learned you recently had a few books out, so I checked them out. A couple went home with me in my suitcase.